Yesterday(April 11th) Brie Larson struck a pose for instagram in a elevator as she headed to the 10th Annual Women in the World Summit at Lincoln Center in New York. 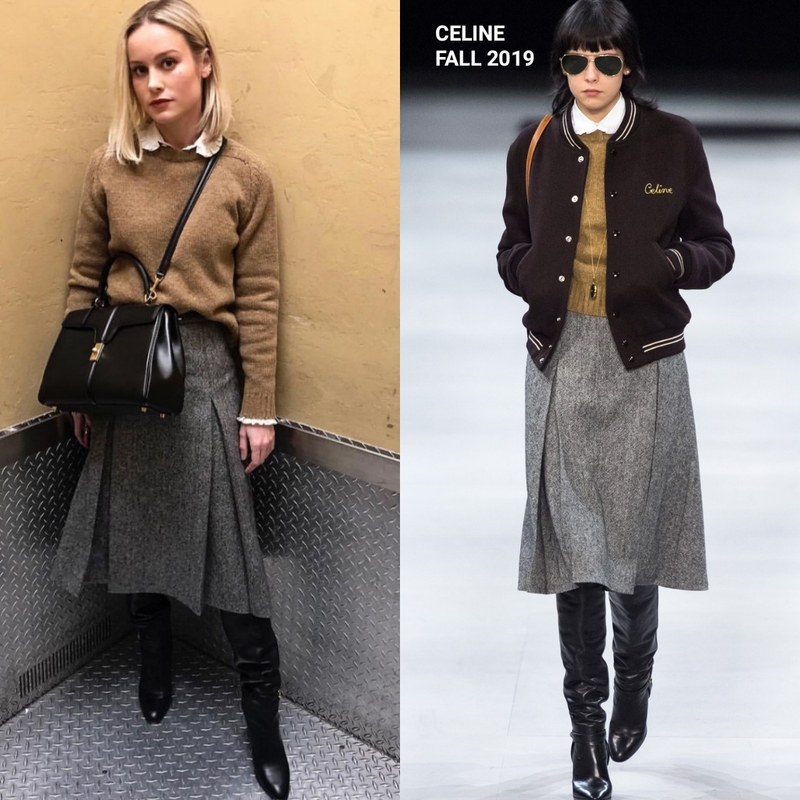 She posed for the gram wearing in head to toe CELINE FALL 2019, featuring a camel sweater which was layered with a white ruffle blouse underneath, a grey wool skirt, a black handbag and black leather boots. Love this, chic, sophisticated look and even though it is off-season, we are still experiencing cool temperatures in NY, so it works. What do you think of Brie's instagram style?